Participants who in the same year run all RUNVAN® races – the BMO Vancouver Marathon, Granville Island Turkey Trot, and Fall Classic – score the Hat-trick! Note: You may run any of the race distances, excluding the Kids Run, to score the RUNVAN® Hat-trick. 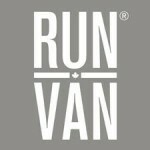 Be the first to know about up-coming RUNVAN® events.